Come join us! New singers are welcome. It’s winter, and if schools are closed, we cannot rehearse. We also cancel rehearsal sometimes if the roads are bad. Please check our Facebook page or contact one of the people on the flyer before you come if you are unsure about the weather. 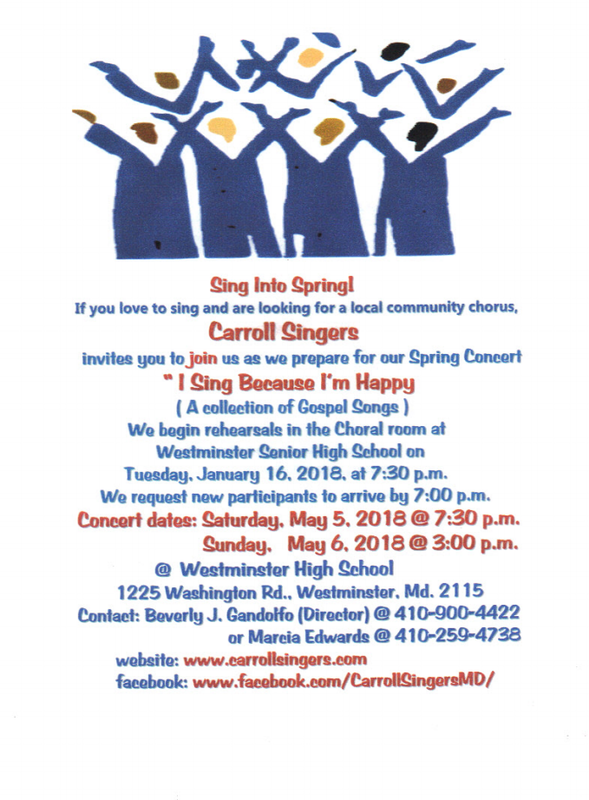 Join us for our spring concert, I Will Lift My Voice, May 6th and 7th, 7:30 pm, at Westminster High School – click for details!